I loved sleeping on the train. I got comfortable and even with the bumps, I still slept. I did wake up around 0530 to make sure I didn’t miss Okayama. The Sunrise Express makes a few stops along the way. 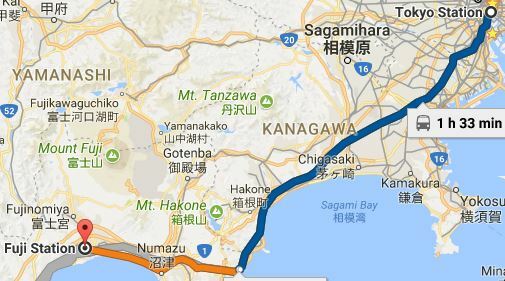 When it gets to Okayama, they decouple the train, one going to North to Izumo and one going south to Kagawa. If I slept in, I would have woken up in Takamatsu.The one thing I didn’t like was that the Nobi Nobi seat does not have an outlet to plug in.. so my phone batteries were almost dead. My external batteries (small ones) were dead too. I ate my food in the lounge car and brushed my teeth afterwards. I got to Okayama and the station is mostly closed. I went to the 7/11 there and by a bigger external battery. Now I will back track. 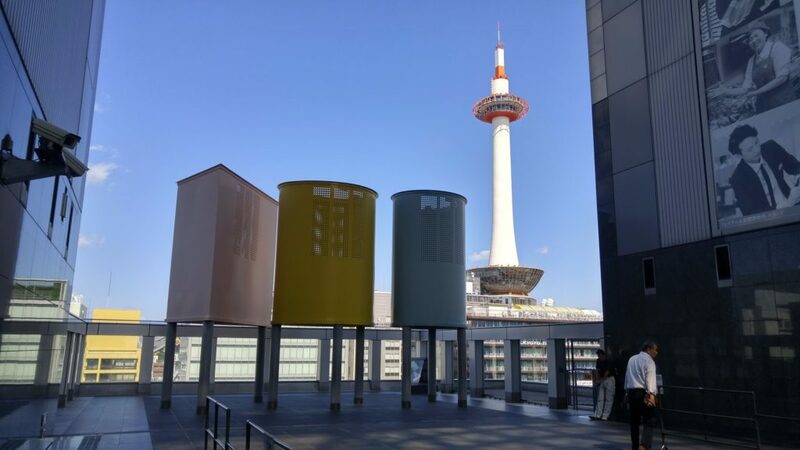 I have to stop by Kobe city and Kyoto (Kyoto). 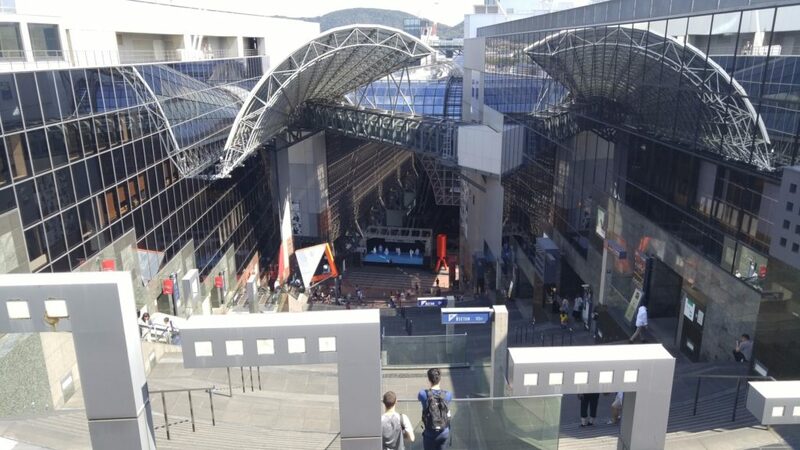 Then take the Shinkansen to Tokyo station to get my luggage and head to Fujinomiya where the Leopard Committee was setting up for the Leopard meeting the next day. 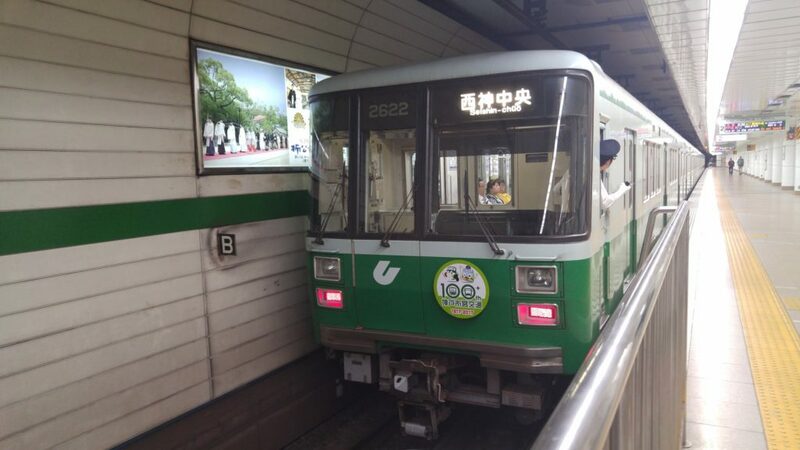 Once I got to Shin Kobe station, I took the subway Seishin-Yamate line Sannomiya station. 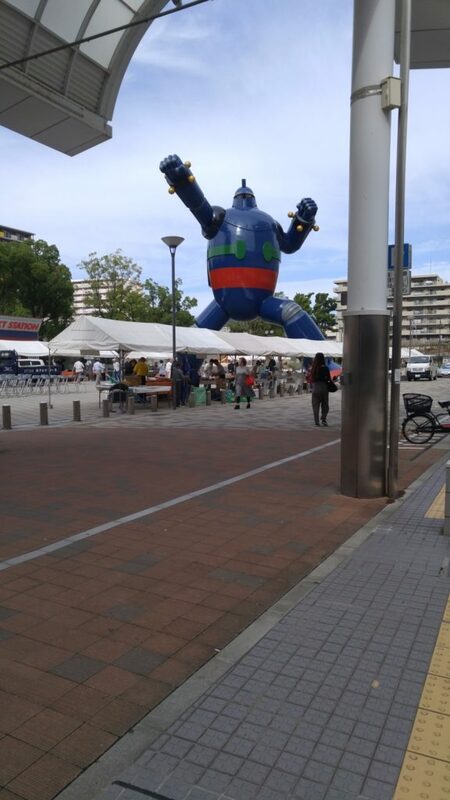 I then jumped on the JR Sanyo Main line to get to Shinnagata station where Gigantor was located. I walk a couple blocks and there he was!!! 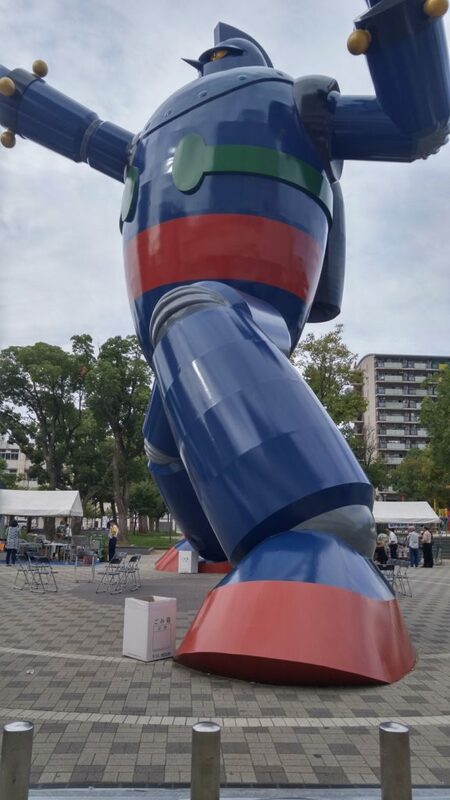 Gigantor! 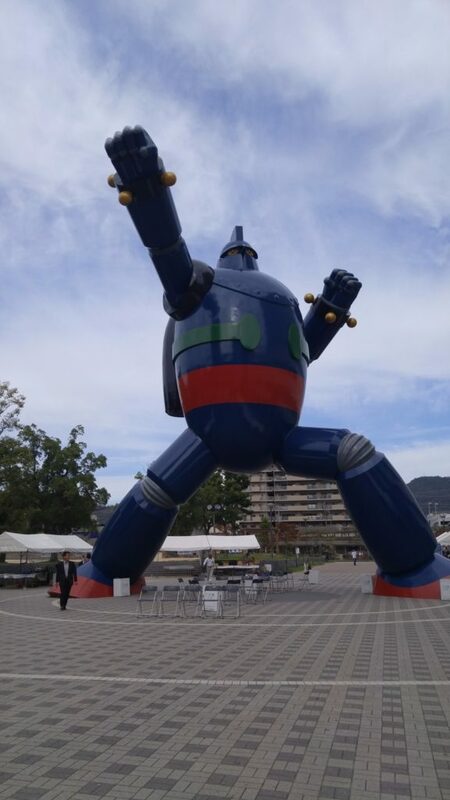 After the devastation of Kobe City, Gigantor was made as a symbol of strength. 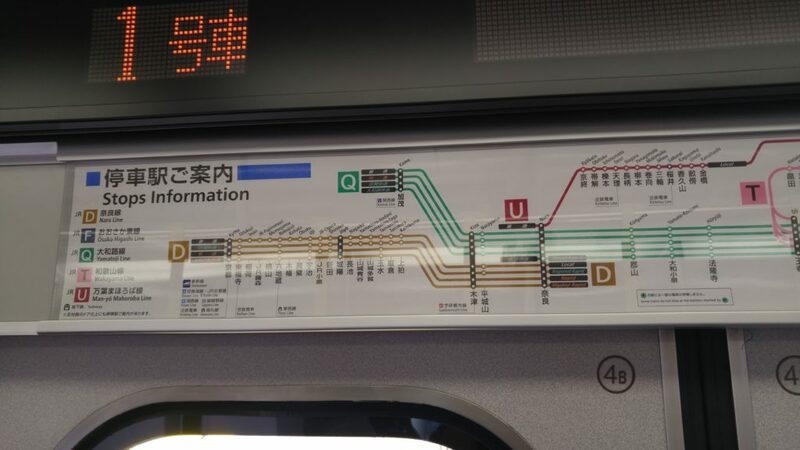 I did plan to stop by Osaka and visit Jenesis, I didn’t have time since I would have to spend a few hours going back to Tokyo and then back to Shizuoka because of my luggage. So Osaka didn’t happen. I did have to go to Kyoto. 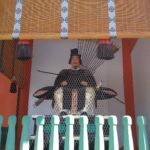 When my wife and I went here last year, we found many cool items and snacks. This made Kyoto a stop for shopping. 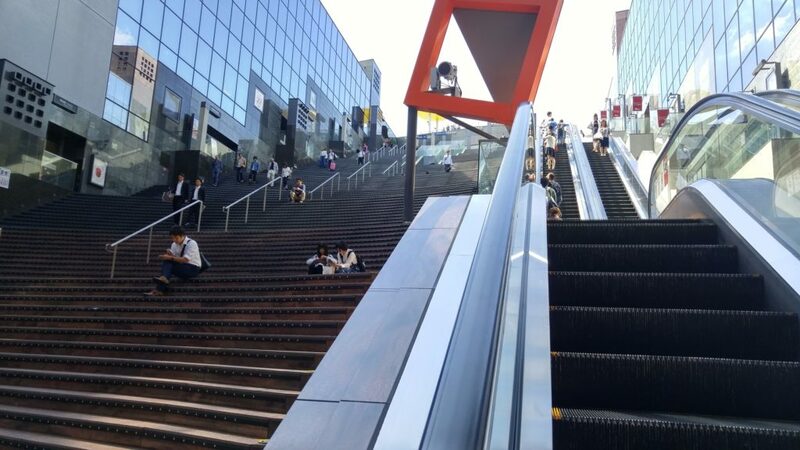 Not only that, Kyoto station is one of my favorite because of Escalator Mountain! At this point, I bought some stuff for my kids and wife. This included cute bento boxes, Kyoto Blotting paper and tons of delicious mochi. 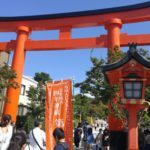 Next, I wanted to visit the Torii tunnel. 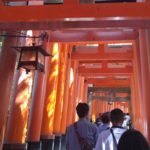 It was famous in movies.. but just how many Torii is amazing. Once you get past the JR gates, there are a ton of platforms next to each other. 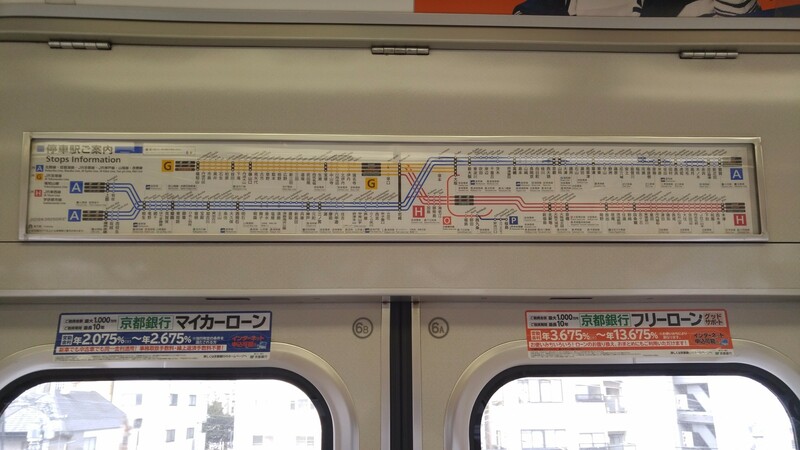 To get to Inari, you had to get on the Nara line (D). 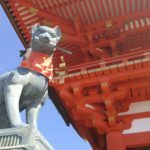 I believe Inari is stop 3. 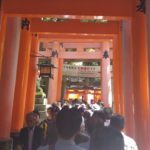 But before I left, I had to visit the Fushimi Inari shrine. 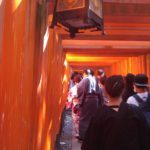 This is the Torii gate tunnel going up the mountain. 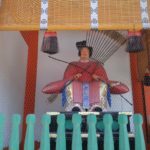 Last October (2016), my wife and I did not get a chance to visit this Shrine as we went to Bamboo Forest and Gion… So I made it a must for this trip. As I did in May 2017, this is also a spiritual journey for me. 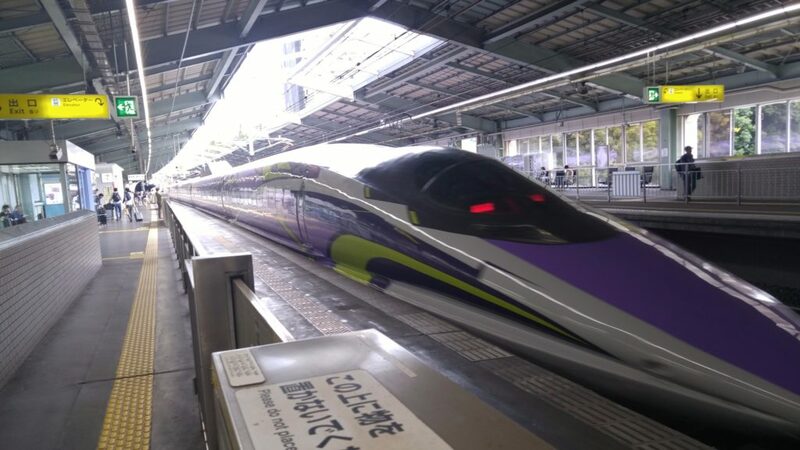 I then booked a ticket for the Shinkansen for Tokyo station. It was about a 2.5 hr ride I had to take the Kodama Superexpress and not the Nozomi. 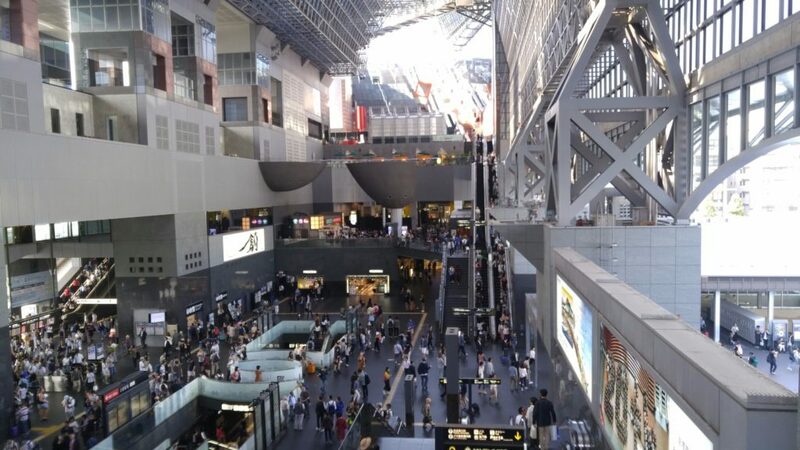 As soon as I got to Tokyo station, I quickly located my luggage on the underground floor, changed quickly and headed to Fuji station in Shizuoka. Then from Fuji station, I took a taxi to Hana No Yu Onsen. 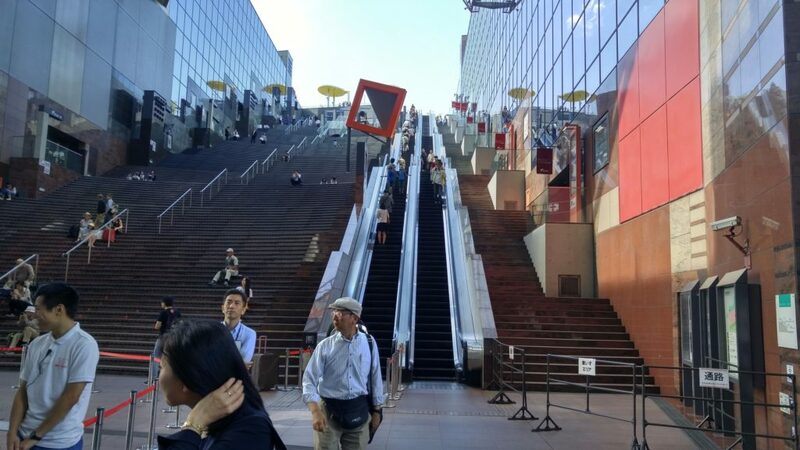 This entry was posted in blog and tagged escalator mountain, gigantor, jr 500.